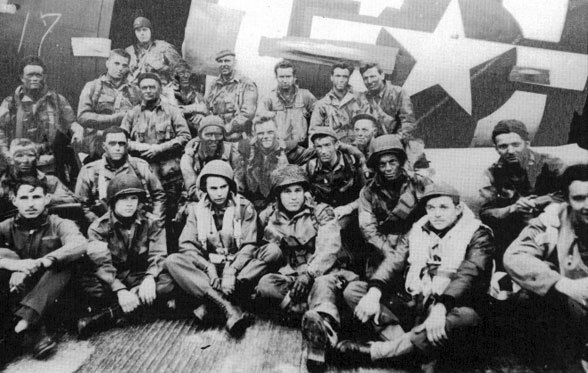 508th, commanded by Captain N. L. McRoberts of the 505th Parachute Infantry, Air Corps flight leader, Captain Miles, took off on time, from North Witham, made landfall on time, encountering little flak until over Saint Sauveur le Vicomte. Flak continued from Saint Sauveur le Vicomte to run in for drop. Anti-aircraft fire shifted from planes to jumpers at time of drop. Drop was on time, approximately one and one-half miles south and slightly east from previously selected DZ. Due to aggressive enemy action on the ground, lights were not able to be turned on with the exception of two; one of which was coded in the predesignated code. BUPS Beacon was set up and operating twenty minutes prior to arrival of first scheduled serial. One Eureka was set up and operating twenty minutes prior to first scheduled serial. Eureka was triggered approximately twelve minutes prior to drop time. BUPS Beacon was receiving definite tuning of homing planes.